THE HAGUE, Netherlands – The International Criminal Tribunal for former Yugoslavia (ICTY) has prevented doctors from visiting former Bosnian-Serb military commander, General Ratko Mladic, his son Darko Mladic revealed to TASS on Tuesday. “The tribunal said that a visit by doctors is harmful for his health. Interestingly, on the other hand, the court notified us last week when it adjourned the sentencing due to health reasons, that the general’s health condition was stable,” he said. “How could both conclusions be possible on the basis of an assessment report by same doctors? Since when does a visit by a doctor pose a threat to a patient’s health?” he questioned. “We think that the ICTY poses obstacles to a medical examination on purpose,” Darko Mladic earlier told TASS. 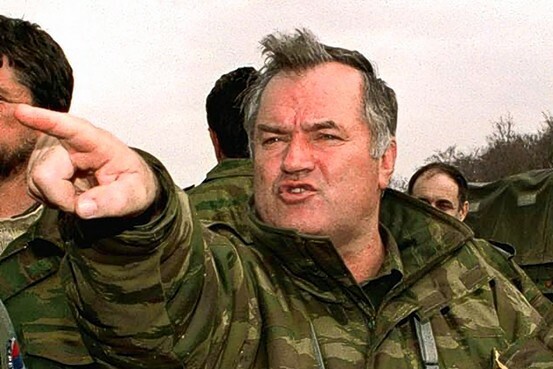 Mladic was arrested in Serbia in May 2011 and is accused of genocide, violations of the laws and customs of war and crimes against humanity, reportedly committed in 1992-1995 in Bosnia-Herzegovina, with him being sentenced on November 22.